Planning Your Main Landscaping Activities: When Is Excavation a Necessity? So you’re planning a few landscaping projects in the next few months, and you think you might be able to squeeze them into a couple of hours on Sunday afternoons? As pleasant as that sounds, it usually doesn’t work that way. Landscaping projects can get rather complicated, and you’ll have a lot to think about while you’re planning them. However, the biggest challenge of all arises when you have to excavate around your home before the project can even get underway. You’ll have to do at least some digging when installing something like a new fence or gate, or even when you want to plant new trees. A walkway or driveway will also require some excavation, although depending on the specific approach to setting up your driveway, this isn’t always the case. Finally, you’ll have to excavate when removing larger structures or trees. Sheds and garages might also have foundations that have to be dug out when you want to remove them entirely and claim the materials for a new project. 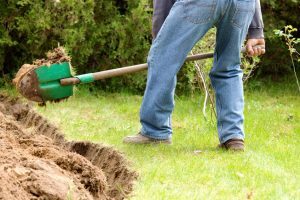 The main reason why excavation is such a problem when it comes to landscaping is that you’ll have to look for a trusted Colorado Springs utilities locations team of experts to make sure you don’t hit a tree root, gas pipe or another utility line when performing the excavation work on your own.